OPPO has announced the entry of K series with the launch of OPPO K1. The OPPO K1 will be available on Flipkart from 12th February for Rs.16,990/-, and will come in two colour variants - Piano Black and Astral Blue. The OPPO K1 is a competitively priced smartphone, which comes with an in-display fingerprint scanner and 6.41-inch screen with AMOLED display, ensuring the consumers enjoy their favourite shows/movies in higher definition. The new device features a 25 MP front-facing camera and is powered by Qualcomm Snapdragon 660 Mobile Platform, making it ideal to support heavy applications. The OPPO K1 uses Corning Gorilla Glass 5 and comes with a 4GB RAM + 64GB ROM memory, improving the speed and performance. OPPO K1 comes with a 6.41-inch AMOLED Full HD + display with screen resolution of 2340 x 1080 pixels. 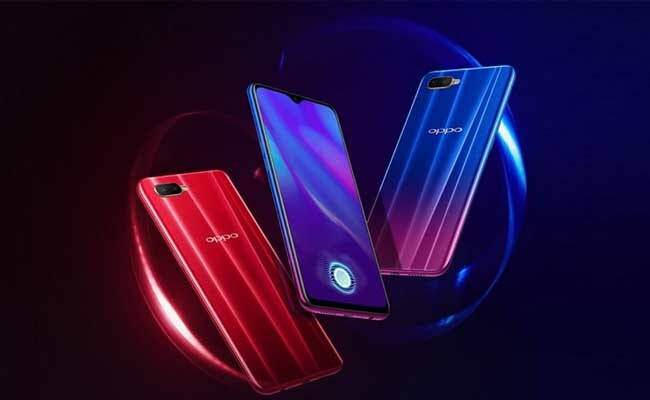 The OPPO K1 uses Corning Gorilla Glass 5, which will provide more protection for mobile phones as it can survive 1.6-metre, shoulder-height drops onto hard, rough surfaces up to 80% of the time. The device offers a higher screen-to-body ratio of 91% and features a waterdrop notch on top of the display where you will find the front facing camera. OPPO devices have always been known for their camera, and hence, the OPPO K1 is equipped with a 25MP front camera with F2.0 aperture to capture the best selfies and a 16MP + 2MP dual rear camera with AI beautification. AR Stickers is another feature of OPPO K1 that allows more personalization and adds to the fun of exchanging pictures. A powerful battery for a delightful experience, the OPPO K1 comes with a 3,600mAh (Typ) and 3,500mAh (Min) battery, which frees you from the concern of charging your phone every now and then. Based on Android 8.1 Oreo, OPPO raises the ColorOS 5.2 Operating System to a new level with an overall smarter interactive experience for users. The new OPPO K1 is powered by the Snapdragon 660 and has a 4GB RAM and 64GB ROM which is expandable to 256 GB with the help of a dedicated memory card slot. Therefore, the OPPO K1 which is priced at Rs.16,990/- will be available at a 90% buyback value of up to Rs.15,300/- with an additional bank discount of Rs.1,690/- for up to 8 months.